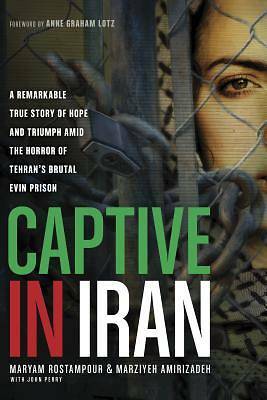 Embark on a chilling journey inside one of the world's darkest and most dangerous places: Evin, the notorious Tehran prison. Here, prisoners are routinely tortured, abused, and violated. Executions are frequent and sudden. But for two women imprisoned for their Christian faith--Maryam Rostampour and Marziyeh Amirizadeh--this hell on earth was a place of unlikely grace as they reflected God's love and compassion to their fellow prisoners and guards. Against all odds, Evin would become the only church many of them had ever known.In "Captive in Iran," Maryam and Marziyeh recount their 259 days in Evin. It's an amazing story of unyielding faith--when denying God would have meant freedom. Of incredible support from strangers around the world who fought for the women's release. And of bringing God's light into one of the world's darkest places--giving hope to those who had lost everything, and showing love to those in despair.